The city of New Orleans controlled the Mississippi River through its location; other locations for ports had been tried and had not succeeded. New Orleans was already important for shipping agricultural goods to and from the parts of the United States west of the Appalachian Mountains. Through Pinckney's Treaty signed with Spain on October 27, 1795, American merchants had "right of deposit" in New Orleans, meaning they could use the port to store goods for export. Americans also used this right to transport products such as flour, tobacco, pork, bacon, lard, feathers, cider, butter, and cheese. 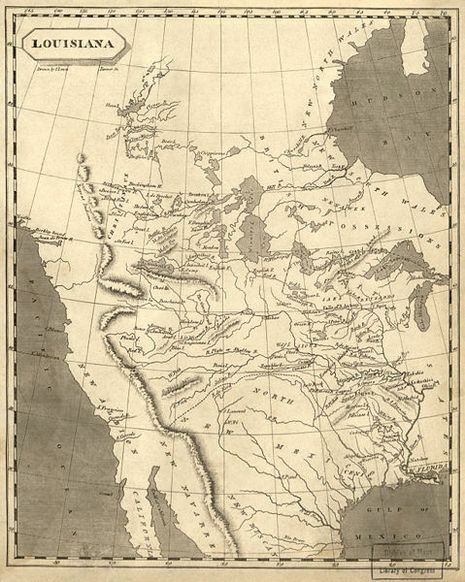 The treaty also recognized American rights to navigate the entire Mississippi River which had become increasingly vital to the growing trade of their western territories. In 1798 Spain revoked this treaty, which greatly upset Americans. In 1801, Spanish Governor Don Juan Manuel De Salcedo took over for Governor Marquess of Casa Calvo, and the right to deposit goods from the United States was fully restored. Napoleon Bonaparte returned Louisiana to French control from Spain in 1800, under the Treaty of San Ildefonso (Louisiana had been a Spanish colony since 1762.) However, the treaty was kept secret, and Louisiana remained under Spanish control until a transfer of power to France. The transfer finally took place on November 30, 1803, just three weeks before the cession to the United States. Not all Americans who believed that the United States was a divinely favored nation thought that it ought to expand. Whigs especially argued that the "mission" of the United States was only to serve as virtuous example to the rest of the world. If the United States was successful as a shining "city on a hill," people in other countries would seek to establish their own democratic republics. Thomas Jefferson initially did not believe it necessary that the United States should grow in size, since he predicted that other, similar republics would be founded in North America, forming what he called an "empire for liberty." However, with the Louisiana Purchase in 1803, which doubled the size of the United States, Jefferson set the stage for the continental expansion of the United States. Many began to see this as the beginning of a new "mission"—what Andrew Jackson in 1843 famously described as "extending the area of freedom." 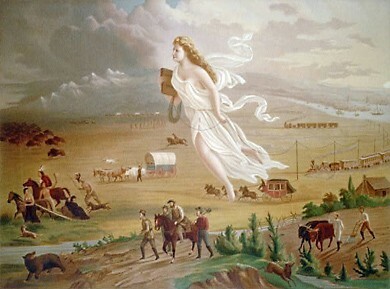 As more territory was added to the United States in the following decades, whether or not "extending the area of freedom" also meant extending the institution of slavery became a central issue in a growing divide over the interpretation of America's "mission."